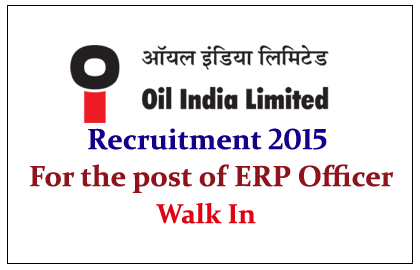 Oil India Limited is Hiring Engineering candidates for the post of ERP Officer for the year of 2015. Location at Guwahati, Assam. Eligible candidate can attend Walk-In on 18th May 2015. 1 .Providing active support related to the e-tender portal. 2. Understanding the oil’s e-tender process and portal. 3. Attending to telephone queries and e-mail Communication. 4. Understanding the nature of the issues experienced by the bidder and attending the same as per the procedure. 5. Attending to the Supplier Enlistments portal registration. 6. Vendor and Material Master Data Management. 7. Other allied jobs assigned as part of support services.